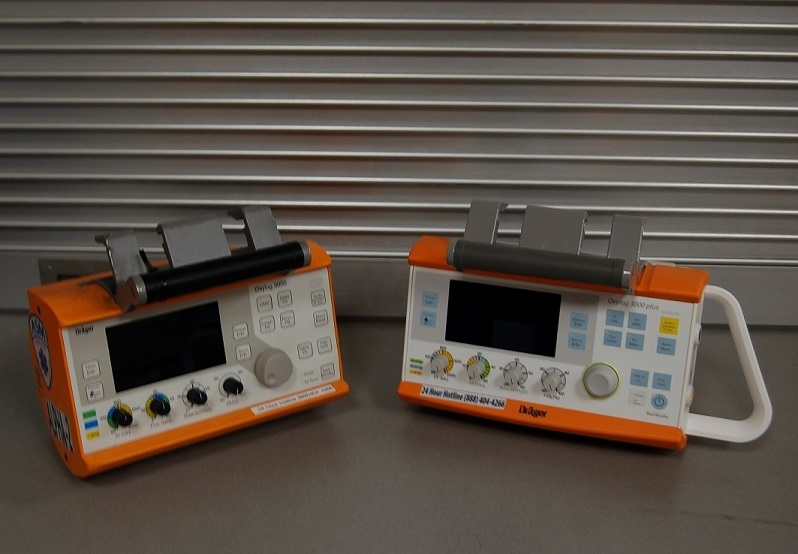 Recently the Ambulance Service of Manchester placed Dräger Oxylog 3000+ transport ventilators into service, replacing the Oxylog 3000 transport ventilators. 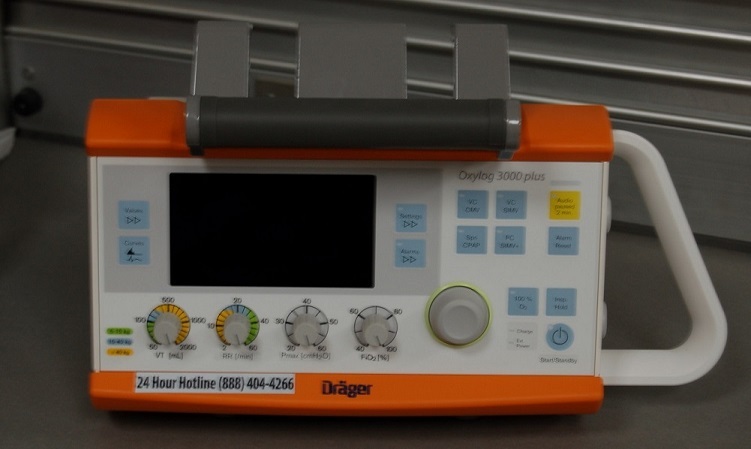 The Oxylog 3000+ enables the Ambulance Service of Manchester to continue to provide the highest level of patient care while increasing patient comfort thanks to Dräger‘s Autoflow function. Autoflow provides better patient/ventilator synchrony adjusting flow to the patients need. 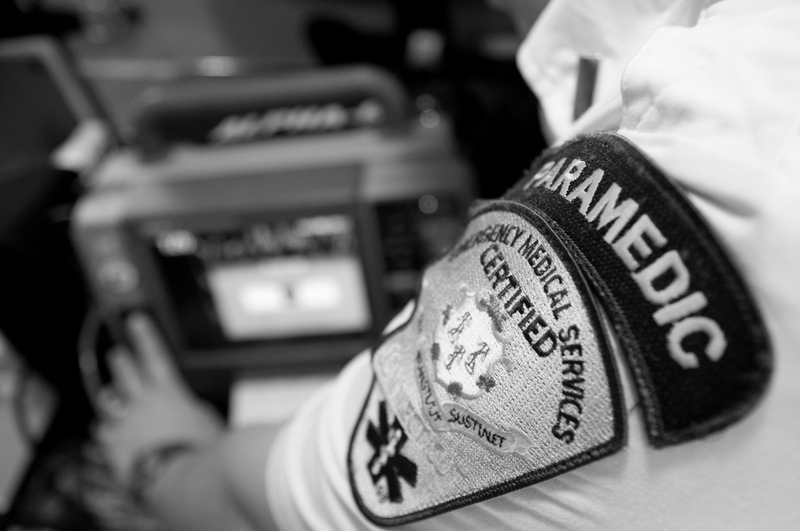 ASM continues our dedication to providing cutting edge emergency medical care and our vision of putting gold standard clinical resources and equipment at the fingertips of our providers. 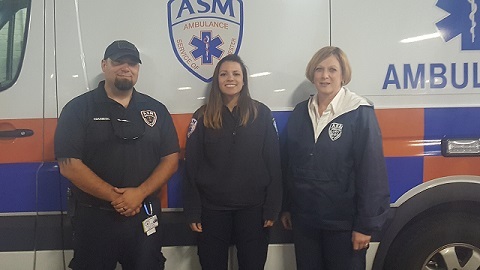 MANCHESTER — On March 9th, 2018 the Ambulance Service of Manchester promoted three from within its EMT ranks to the post of Field Training Officer: Bianca Krzynowek, Ryan Bochman, and Kyle Caldwell. 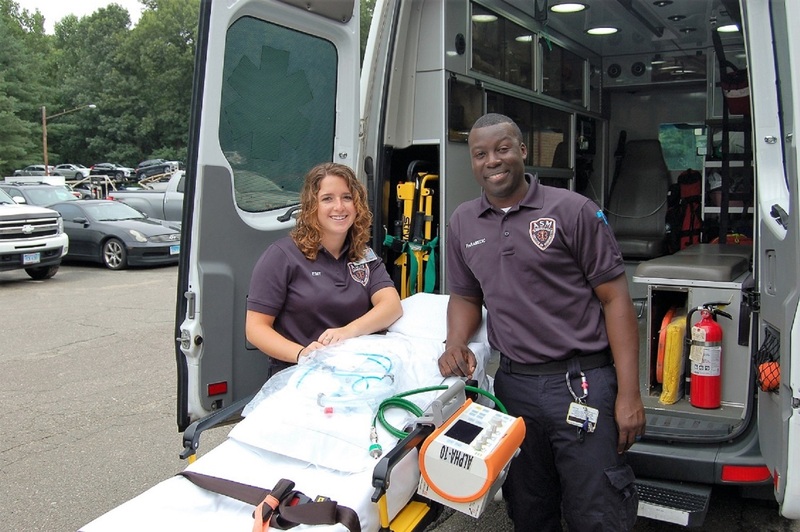 FTOs are utilized primarily to train newly hired employees in the performance of their duties as EMTs. 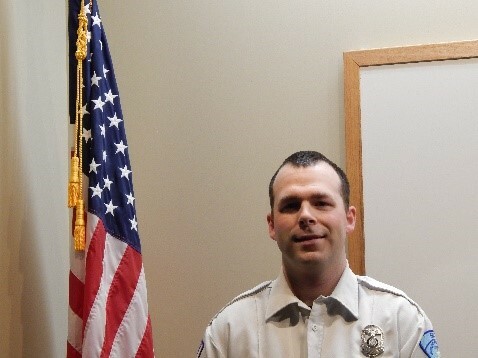 Kyle Caldwell: I have been with ASM now for about 5 years and an EMT for around 6. I started in EMS when I wasn’t sure where I wanted to go in my life or what I wanted to do. 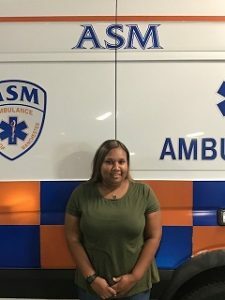 After a short stint working for Ellington Ambulance, I landed a job at ASM which has given me a lot of opportunity to grow. 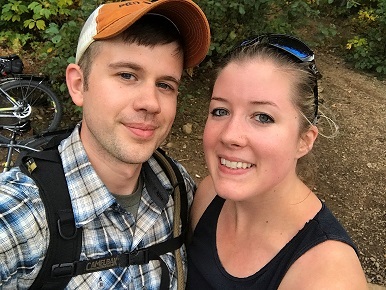 I have an amazing wife who has always encouraged me to better myself and been very patient and understanding with all the long days and hours I’ve put into this job. I am very fortunate to have both my wife and this job. Bianca Krzynowek: My name is Bianca and I have worked at ASM for around 3 years. I am very excited to be promoted to FTO at ASM because I love meeting new people. I also think that knowing how to be safe on scene while doing this job is important and I hope to be able to instill that in my new fellow coworkers so that they can lead safe and prosperous careers in EMS. Right now I live with my German Shepard Toby and my horse, Abe. When I’m not at work I am running, at the gym, snowboarding, riding my horse, or hiking with Toby. I can’t wait to get started FTOing! 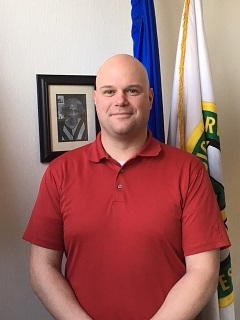 Ryan Bochman: I have been an EMT at ASM for a little over 2 1/2 years and an EMT for approximately 9 years. I have been married for almost 4 years and have just become a father to a healthy and beautiful baby boy. I became interested in the medical field at 17 when I volunteered for Haddam Fire Company as a firefighter/MRT-now EMR. I took great pride in helping people in what might be one of the worst moments of there life. Over my time as an EMT, I have learned a lot from those working around me, as well as assisting in the education of others and students. As I join the ranks of FTO at ASM, I look forward to training and assisting new employees as they transition to working in EMS full time. I look forward to the opportunity to share the knowledge I have learned over the years with newer EMT’s to make them the best medical professional they can be. HARTFORD — On November 20th, 2017, six EMTs were added to the Aetna team. As part of our continued growth, Aetna and ASM seek out only the best candidates. We look for employees who are focused on high-quality patient care, are team oriented and conduct themselves in a professional manner. During the orientation, employees learn about company philosophy and goals, quality assurance, and policies and procedures. Antonina M. Miller: PART TIME, EMT. My name is Nina Miller and I am 25 years old. I received my EMT certification at Code One in New Haven. I have a B.A. in Linguistics from the University of Massachusetts, Amherst and I am currently working on a second Bachelor’s Degree in Health Science at the University of Bridgeport. I am also an NSCA certified Personal Trainer. My goal is to get quality direct patient care experience as a BLS provider. My long term plan is to apply to a PA program. I’m looking forward to becoming a contributing member of the Hartford Aetna team! Matthew Allard: FULL TIME, EMT. Hi, my name is Matt Allard. I am 36 years old and I’m from Middletown, CT, where I live with my two children. I am a UMass Lowell graduate, and I’ve been volunteering at Windsor EMS for about a year and a half. 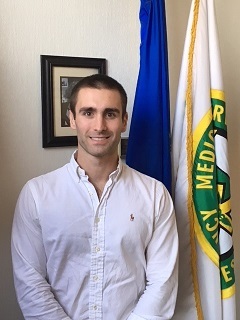 Emergency medicine has been an extremely rewarding experience for me, and I decided to transition to this career field after my years of experience in the Air Force, corporate technology, sales, marketing, and training. I plan on furthering my career by attending Paramedic school within the next year. In my downtime I enjoy photography, hiking, swimming and the beach. I’m very grateful for the opportunity to be a member of the Aetna team! Sean DiFilippo : FULL TIME, EMT. I am 23 years old and graduated from UCONN with a B.S. in Biology. My goal is to gain medical experience before becoming a PA that specializes in one of the following fields: orthopedics, emergency medicine or neurology. I grew up in Killingworth, CT and currently reside in Berlin, CT. I enjoy being outdoors and reading. Chris Burdick: FULL TIME, EMT. My Name is Chris Burdick I am 24 years old and from East Hampton CT. I am currently a volunteer certified Firefighter /EMT for my home town, as well as a volunteer EMT for the local ambulance Association. I come from a family of first responders ranging from police, fire, and EMS. I am expanding my knowledge in the EMS field and looking into becoming a paramedic in the future. I am excited and eager to learn and grateful for the opportunity to be a part of the Aetna team. I look forward to serving the communities with everyone. Shivani Patel: PART TIME, EMT. Hi! My name is Shivani Patel. I am 22 years old and recently graduated from UCONN with a BS in Biology and Psychology. I’m from the small town of Jewett City (out by the casinos). I decided to become an EMT to gain patient care experience for PA school and have been working at Wethersfield for about 8 months. I love to eat and binge watch Netflix. I also enjoy traveling, and really want to visit Europe one day! 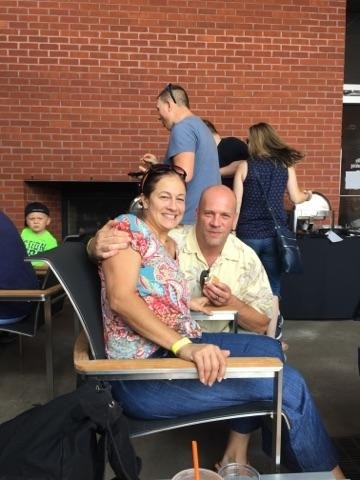 Darrell Salley: FULL TIME, EMT: My name is Darrell Salley and I’m 37 years old. I am looking forward to starting a rewarding new career as an EMT. I attended New Britain EMS Academy and finished in June of this year. I’m currently a volunteer firefighter and I’m looking to take my experiences at work to be a bigger asset to my department and community. Year one fundraising for Team ASM-Aetna was a great success. 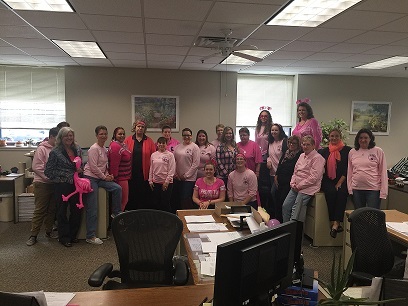 Through the efforts of our employees, family members, and friends, we were able to raise close to $1,100 for Breast Cancer Research. 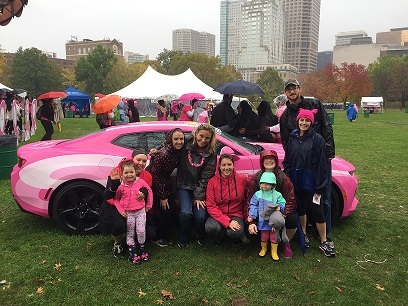 With the company match, and proceeds from the Making Strides Against Breast Cancer Walk this past Sunday, a total of $3,288 has been donated to the American Cancer Society. Thank you to everyone involved for your generous contributions and dedication to the cause. 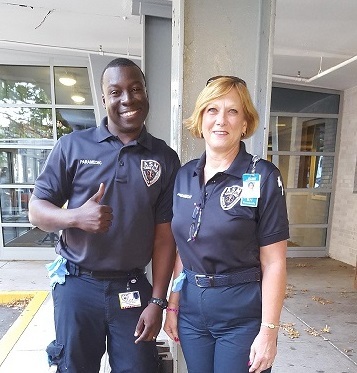 HARTFORD – As of October 27th, 2017, Aetna’s Blake St. John has been cleared by Hartford Hospital medical control for independent dispatch as a paramedic to the towns that Aetna serves. His preceptor was Paramedic Greg Kendall. Blake has been working in EMS for 11 years. 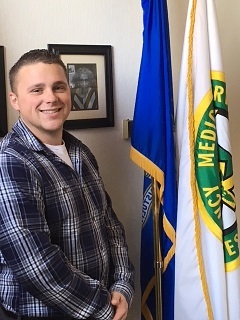 He started at Aetna in August of 2015, and graduated from Capital Community College Paramedic Program. 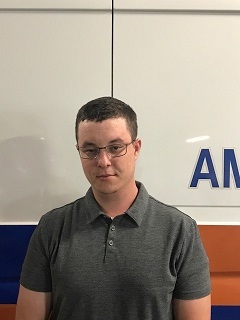 As with all precepting phases at Aetna, Blake’s final approval came from Hartford Hospital after shadowing him and his preceptor in the field as they responded to emergency calls.On behalf of the Aetna Family, we would like to wish Blake the best of luck and say we are very proud to have such skilled professionals on staff. 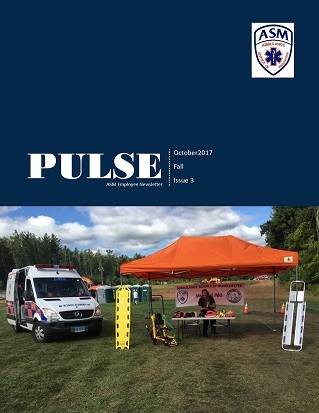 The Ambulance Service of Manchester is proud to release the third issue of Pulse, the ASM employee newsletter. Released quarterly, Pulse features numerous articles outlining company news and events, training opportunities, case studies, health and wellness tips, and more. Additionally, each issue will contain an Employee Spotlight article, recognizing an EMT or Paramedic that has demonstrated a commitment to patients and co-workers alike via positive attitude, work ethic, and overall inspiring demeanor. Please enjoy! 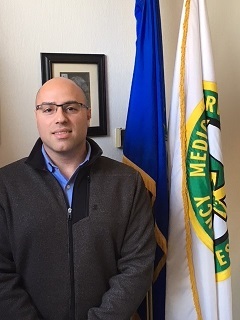 MANCHESTER – As of October 20th, 2017, ASM’s Gabner Alcime has been cleared by Eastern Connecticut Health Network medical control for independent dispatch as a paramedic to the towns that ASM serves. 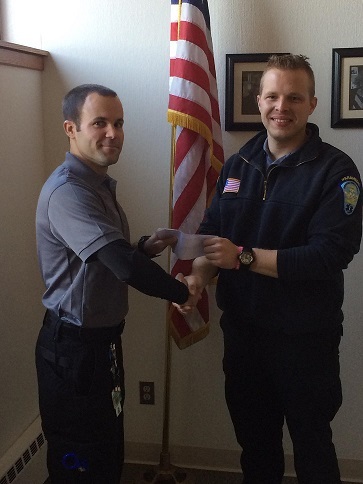 His preceptor was Paramedic Scott Crittenden. Gabner hails from Port Charlotte Florida and started at ASM in July of 2017. 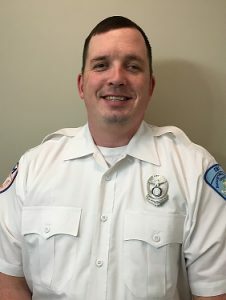 Gabner has over a decade of EMS experience working as an EMT and eventually a Paramedic for Lee County Emergency Medical Service. 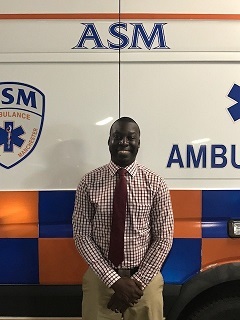 As with all precepting phases at ASM, Gabner’s final approval came from Eastern Connecticut Health Network after shadowing him and his preceptor in the field as they responded to emergency calls. On behalf of the ASM Family, we would like to wish Gabner the best of luck and say we are very proud to have such skilled professionals on staff. 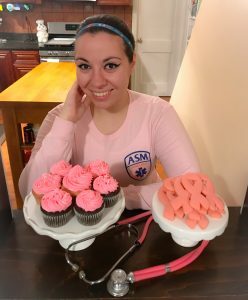 MANCHESTER- Purchasing a t-shirt and bracelet in order to donate to ASM and Aetna’s Breast Cancer Awareness Fundraiser was only the beginning for Ambulance Service of Manchester EMT, Kristi Glowacki. In an effort to raise more money for the cause, Kristi put her talent for baking to good use. As you’ll note in the adjacent photo, Kristi dedicated a portion of her time off to prepare pink ribbon cookies, as well as pink frosted cupcakes. The first round, offered last week, sold-out in a matter of minutes. ASM anticipates the same result today. All of the proceeds will be matched by the company and presented to the American Cancer Society at the end of the month.Thanks to Kristi, both for her baking abilities and compassion! 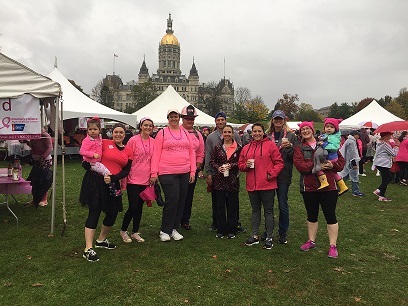 Aetna Call Taker Kelly Shapiro is acting as Team Captain for the Making Strides Against Breast Cancer of Hartford Walk on Sunday, October 29th, 2017 at 930 am. 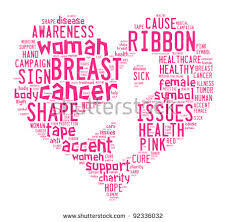 Please consider joining Team ASM-Aetna or making a donation. Use the link below to register. MANCHESTER – As of October 13th, 2017, ASM’s Tiffany Armas has been cleared by Eastern Connecticut Health Network medical control for independent dispatch as a paramedic to the towns that ASM serves. Her preceptors were Paramedic Supervisor’s Melissa Osborne and Joshua Traber. Tiffany started at ASM in February of 2015 and graduated from the Capital Community College Paramedic Program. 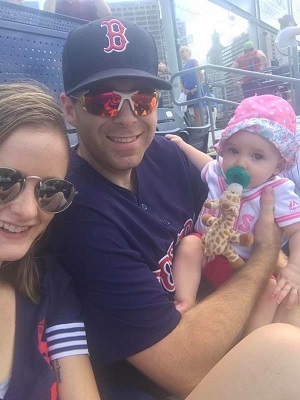 Additionally, she is a volunteer a member of North Windham Fire Department. 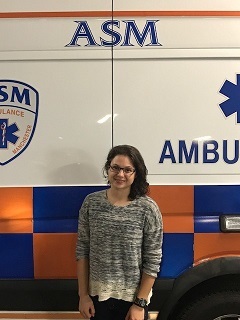 As with all precepting phases at ASM, Tiffany’s final approval came from Eastern Connecticut Health Network after shadowing her and her preceptors in the field as they responded to emergency calls. On behalf of the ASM Family, we would like to wish Tiffany the best of luck and say we are very proud to have such skilled professionals on staff. 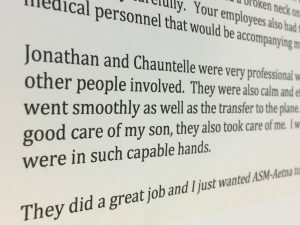 WETHERSFIELD – In late August, Aetna Ambulance Service received a hand written letter addressed to Paramedic Matt Carter and EMT Eric Marandino. The note, as depicted below, is in regards to a transport completed a few weeks prior. I am most pleased with the service that was provided. Thank God that this EMT/Paramedic was sent to my home that morning. The EMT/Paramedic [was able to] diagnose what I had before we left my home. I will forever be so thankful for the EMT/Paramedic who solved the mystery of what was affecting me. 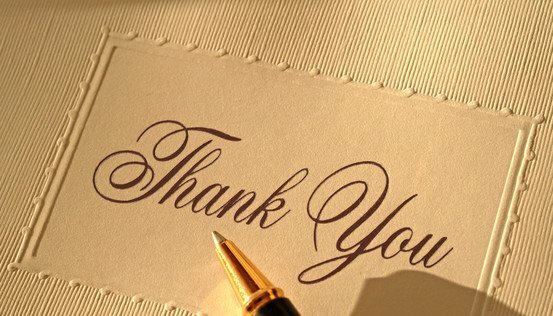 Please pass on this thankfulness to the one who took very good care of my health needs that day. A Day at the Park! 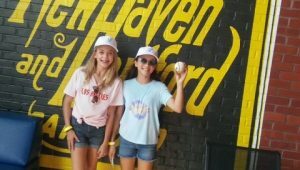 HARTFORD- On Sunday August 20th, 2017, employees from the Ambulance Service of Manchester and Aetna Ambulance gathered at Hartford Yards Goat’s Dunkin’ Donuts Park to watch the home team take on the Reading Fightin Phils. 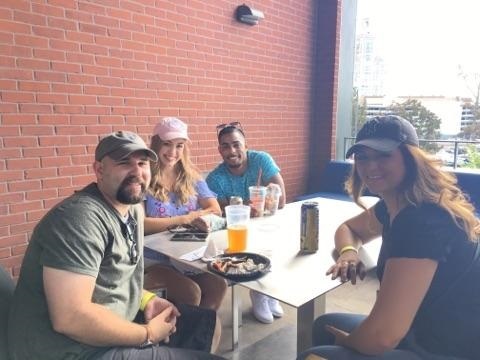 Despite the Yards Goats 6-0 loss, the event provided an opportunity for EMTs and Paramedics, families and friends, to connect in a fun and relaxed environment. 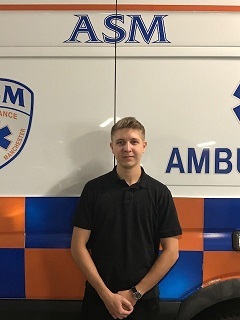 Aetna Ambulance is proud to have EMT, Ryan Sullivan back to full time duty after his recent return from a volunteer Peace Corps mission in West Africa. He describes his amazing journey in the summary below! 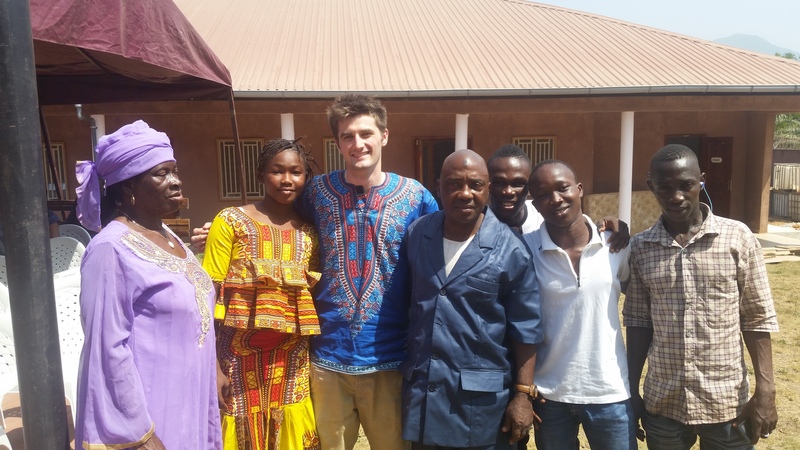 It’s hard to describe my experience in the Peace Corps. Everything was just so different from what I was used to. I left home and four days later, I was in Guinea, a country where no electricity, no running water, and huge snakes were the norm. Guinea is close to the equator in West Africa. 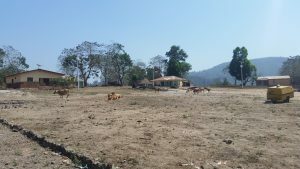 It has 6 months of dry season and 6 months of rainy season. No matter what season it was, the weather was always super-hot. And of course there was no air conditioning. Communication was always a problem. Guinea’s official language is French, but there are over 70 local languages used. All Guineans knew at least some French, but everyone spoke in their local languages most of the time. In my town, people spoke Pular. Peace Corps provided language and cultural training for the first two months, and after that they placed all of the volunteers in their assigned town. 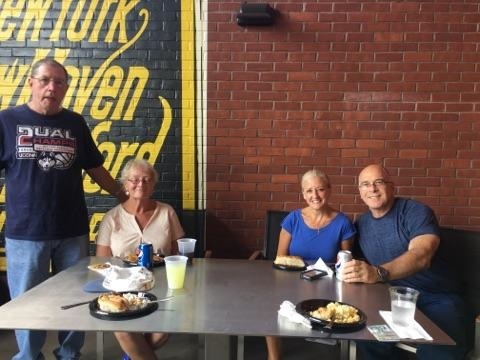 Once I was in my assigned town, my closest neighbors became my family. They took care of me like I was their child. It was a super heartwarming experience to be with them. In return for the generosity, I would give them $25 each month. That is about 250,000 Guinean Francs, so they were very happy with me. I was the only American in my town, the closest volunteer was a 3 hour taxi ride away. Everyone was very eager to start working with me. I felt like a celebrity because everyone wanted to be friends with the American. I was a Public Health Volunteer, so I tried to teach people simple ways to improve their health. 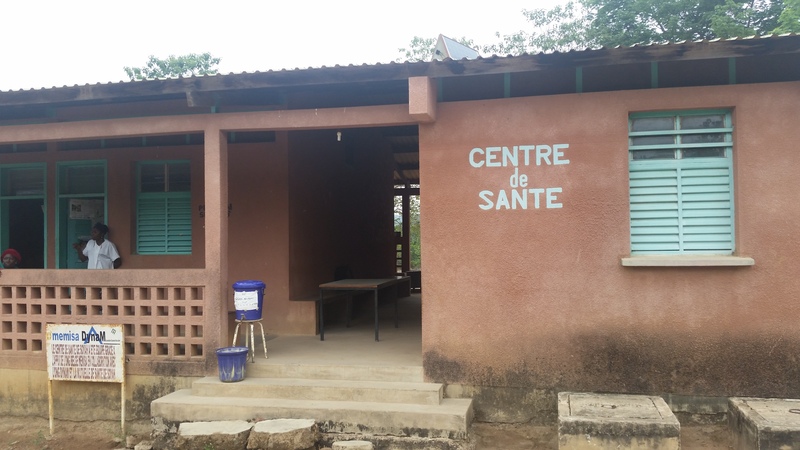 How to use a mosquito net, how to properly wash hands, STI prevention, things like that. Everything had to be communicated in Pular, which made even the simplest concepts hard to explain. I never really grasped Pular, but my host family was always so happy when I could say a simple sentence. Everyone was always super kind to me and I learned many things while in Guinea. The only unpleasant part of my experience was the food. It was usually rice with some sort of dried fish sauce. I ate that 3 times a day, every day. When I got back to America the first thing I did was eat a bacon cheeseburger with a chocolate milkshake. Best meal of my life. Now that my experience is over, there are definitely things about Guinea I will miss. But my host family calls to check up on me every day, so at least I can still be a part of their lives. And keep my Pular skills strong. 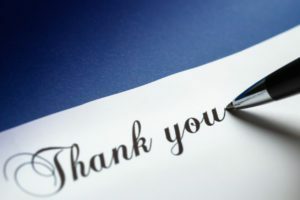 SOUTH WINDSOR – In early August, The Ambulance Service of Manchester received a hand written thank you note addressed to Paramedic Genevieve Geres and EMT Tracy Luetjen. The note, as depicted below, is in regards to a transport completed a few weeks prior. I am ever so grateful for your patient, reassuring help on a very frightening morning for me. At every turn, you did not demean or minimize my experience. I truly felt I had competent advocates at my side. MANCHESTER — On July 24th, 2017, two Paramedics and six EMT’s were added to the ASM team. As part of our continued growth, Aetna and ASM seek out only the best candidates. We look for employees who are focused on high-quality patient care, are team oriented and conduct themselves in a professional manner. During the orientation, employees learn about company philosophy and goals, quality assurance, and policies and procedures. Christopher Myska: FULL TIME, PARAMEDIC. My name is Chris and I am 27. I went to medic school at Capital Community College. I have been interested in patient care since watching MASH as a kid. I am a Flight Medic with the US Air Force Reserves and have been since 2010. I am newly married and spend most of my free time outside with my wife and my dog Ellie. I have spent the last 4 years working for Connecticut Children’s Medical Center as an ER Tech. 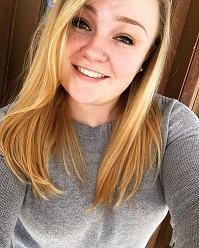 Nicole Niwinski: FULL TIME, EMT. Hello my name is Nicole Niwinski and I am 24 years old. I have my Associates from Manchester Community College and have been working for the last few years an Associate Manager of a window covering company. I took my EMT course with Glastonbury EMS in 2016 and have been very excited about it since then. My goal is to continue in the field of EMS, and become a paramedic. I train martial arts, and enjoy rock-climbing and hiking. Gabner Alcime: FULL TIME, PARAMEDIC. Hello my name is Gabner L. Alcime. I am originally from Miami, FL but I’ve lived in Port Charlotte, FL for all of my teenage and adult life. I received my EMT Certification in May of 2006, and my Paramedic Certification in 2012, as well as, my Associate in Science. I spent ten years serving as EMT/Paramedic for Lee County EMS, FL. My younger brother is also a Paramedic with the same company and two of my cousins are EMT’s there as well. I served as an AHA instructor for both Lee County EMS and at the same college, received my schooling. I also served as a Lab Instructor at the college for the EMT program. I’m really grateful for all the opportunities the EMS field has provided me over the years. I recently obtained my NREMT-P when I decided to relocate with my family to Windsor, CT where my wife is from. In the future, I plan to get my Bachelor’s Degree, and become a filed training preceptor. Aside from EMS, I am also a Wedding DJ, and enjoy being active in the gym and playing sports. Looking forward to being part of the ASM team. Kristi Glowacki: FULL TIME, EMT. 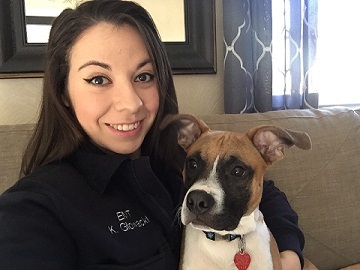 My name is Kristi Glowacki and I have been an EMT for just over 2 years. In that time, I have helped to instruct EMT students, teach communities looking to learn CPR, and volunteered as an EMT for the City of Bloomfield. Before accepting a position with ASM, I also worked in an Emergency Room as a Tech. Being in an ER teaches you how to work fast and think quickly. However, not every patient or call is an emergency. Some just need to know that you’re listening and care. It’s for the same reason that in my spare time I’m teaching my rescue dog, Alpha, to be a therapy dog. If you ever want to talk to someone who is dog crazy you’ve found the right person! Patrick Zimny: FULL TIME, EMT. My name is Patrick Zimny. I am 22 years old and from East Hampton, CT. I’m a student at Manchester Community College working towards a degree in Criminal Justice. I received my EMT-B certification at the end of 2016 and later joined the Manchester Fire Department 8th District as a volunteer. In my free time I enjoy the outdoors, running, reading, and spending time with my nephews and niece. I am grateful for the opportunity to work for ASM and to further my career as a first responder. I look forward to joining the team! Racquel Vaughn: FULL TIME, EMT. My name is Racquel Vaughn and I am 28 years old. I am from East Hartford, CT. I took my EMT class at New Britain EMS Academy in New Britain, CT. 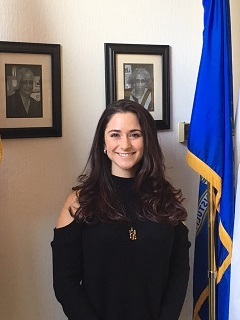 I completed the course in the winter of 2016 and began volunteering for the town of Newington, CT for about 1 year. My goal is to go back to school and become a paramedic after gaining some more experience. I am so happy to be joining the ASM team and looking forward to learning and helping the community. Cody Desilets: FULL TIME, EMT. Hi my name is Cody Desilets. I’m 21 and from Windham, CT. I’ve been a volunteer firefighter in Windham for about 6 years now in which I obtained my EMT and held it for the past 4 years. In my free time, I enjoy the outdoors like fishing, hiking and kayaking. Erica Clayton: FULL TIME, EMT. My name is Erica Clayton. I am 22 years old and a recent graduate of Western New England University with a B.S. in Health Sciences and minors in Chemistry and Psychology. 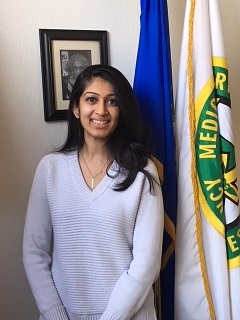 During my schooling, I shadowed and worked with a Physician’s Assistant in the Rockville and Manchester emergency rooms acquiring approximately 250 hours of experience. That time helped me to fall in love with emergency medicine. This lead me to the decision to obtain my EMT certification while in my senior year of college. My future goal is to become a Physician’s Assistant working in pediatric emergency medicine. I am very excited and thankful for the opportunity to work at ASM and cannot wait for the journey that is to come.